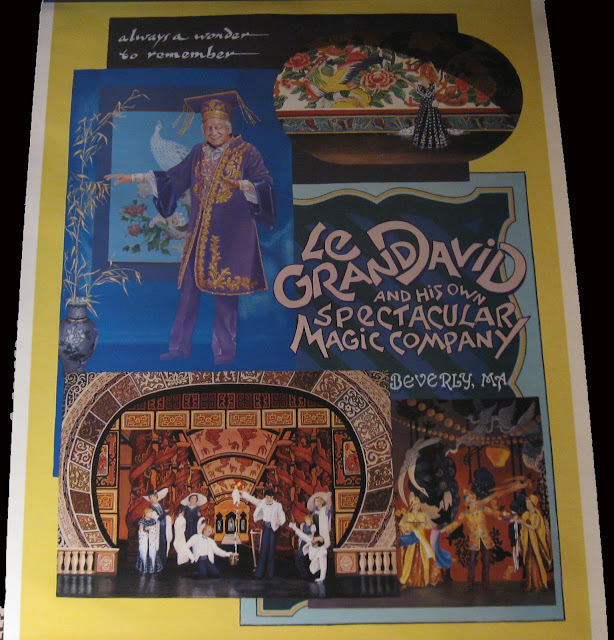 Back in the Golden Age of Magic, the most popular form of advertising a show was to use colorful lithographs. Magicians used thousands of these full color posters and would have the town 'papered' or covered with their posters so that everyone knew they were coming or that their show was in town. This was before the advent of radio or TV so it was best way to promote a show. Le Grand David and his own Spectacular Magic Company have borrowed a page from the book of the old time magicians and adapted a number of their marketing and advertising techniques. This group has produced more unique posters than probably any other magician or magic act in history. They don't paper the town, but they do prominently display their posters in the lobby and in the windows of the theatre. The posters are also pictured in vivid color in their programs. Another interesting technique that Cesareo and company borrowed from past shows is to create their own newspaper. This paper is produced by them, they sell the advertising, have them printed up and then deliver the papers free of charge to businesses throughout the Boston area. There is a new paper every week. It serves a two fold purpose. It alerts the locals as to what movies are playing at their theatre and it also lets them know about this one of a kind magic show presented on various Sundays throughout the year. Getting back to the posters for a moment, Kellar, Thurston, Houdini and others used full color lithograph posters to promote their appearances. The images on those posters needed to be striking and breathtaking in order to encourage people to attend their performances. 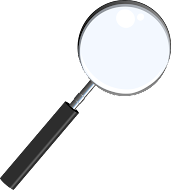 Look at the two posters I have put on this blog. I chose them specifically because not only do they feature a prominent member of the company, in this case Cesareo as Marco the Magi, they also include painted images of moments from the show. Notice, not a detail is left out. If the backdrop is elaborate and colorful, they've included that very image in the painting. I think my favorite backdrop of theirs is the beautiful peacock feather backdrop. You can see a portion of it on the poster at the top of the page, it's in the small square with Cesareo presenting his 'Floating Table' illusion. Some of the early posters for the company were line drawings. Over time they became more and more elaborate. In my personal collection, I own a poster from the early days which is black and gold. I think this was a silk screened image and it's gorgeous. I purchased it during my very first visit to the show as a kid. 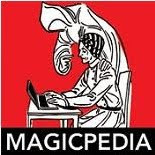 In the 1983, the company published a small book called "The Making of a Magic Poster". I own a copy of it, but I don't have it handy to reference. I do know that many of the poster designs were the idea of Cesareo and then he would have members do the artwork. I'm fairly certain that the majority of full color posters were the creation of Cesareo and Rick Heath. Rick has been with the company since the early days and he is a fantastic artist in my opinion. He also plays the part of Albert Ping-Pong, one of the august clowns in the show. If you've seen the show you might recall the clown with the squeeker voice, well that is Albert Ping Pong. He is also the clown who makes the very tall newspaper tree just prior to David performing the Dancing Handkerchief. If I had to guess, I'd say that there are over 100 posters created by the company. How many of them were turned into printed posters I don't know. But you can see many of the originals on display in the lobby of the Cabot Theatre and in the Gallery of the Larcom Theatre.